and Master Teacher, Cholly Atkins -- the quintessential American dance artist. 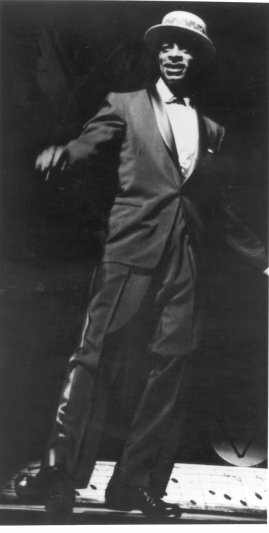 "the Man with the Moves"
Whether dancing with William Porter as part of the two man Rhythm Pals, coaching the world renowned Cotton Club Boys for appearances with Bill Robinson in Broadway's The Hot Mikado, setting the standard for elegance with tap legend Charles "Honi" Coles, appearing with the Mills Brothers, the Earl Hines Band, the Louis Armstrong Band, the Cab Calloway Revue, Count Basie, Lionel Hampton, Charlie Barnet and Billy Eckstine, Mr. Cholly Atkins has epitomized excellence and class. He directed, staged and choreographed acts for countless Motown artists including the Cadillacs, Shirelles, Smokey Robinson and the Miracles, Marvin Gaye, the Supremes, Gladys Knight and the Pips, the O'Jays, Temptations and Aretha Franklin. The National Endowment for the Arts awarded Mr. Atkins its highest dance award - the three year Choreographer's Fellowship. Cholly Atkins - "A Class Act"
They didn't know his name. "You saw 2,000 people doing a Cholly Atkins move," said Brian Pastoria, a partner in the Harmonie Park Creative Group and a longtime friend of Atkins. "It was amazing." 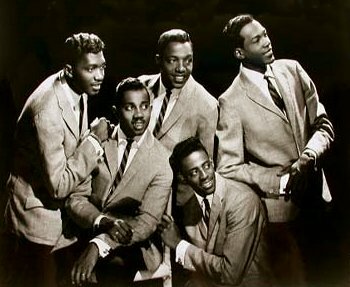 Charles "Cholly" Atkins, the former vaudeville star credited with giving Motown groups their sharp and sassy moves, died late Saturday April 19, 2003 in a Las Vegas hospital. He was diagnosed with pancreatic cancer in February. He was 89. Mr. Atkins was a star long before Berry Gordy brought him to Detroit in 1964 to add a Broadway polish to his stable of talented but rough-hewn Motown performers. Atkins had been a legend on the vaudeville circuit, where he was half of a fabled tap dance duo with Charles "Honi" Coles. And in 1989, he shared a Tony award for choreography for Broadway's "Black and Blue." But it was during Atkins' years in Detroit, when he helped shape the glory days of Motown Records, that he made his lasting mark on American popular culture. 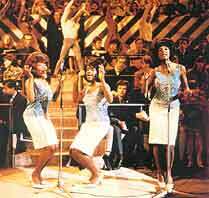 He put the Look in the Motown Look, creating precise choreographic routines - vocal choreography he called it - that helped define the music of the Temptations, the Four Tops, the Supremes, the Miracles, Martha and the Vandellas and others. 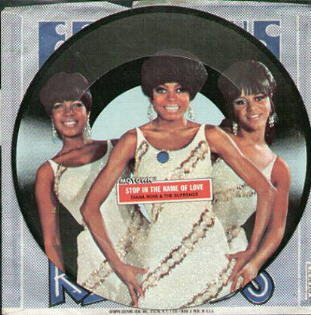 It was a major part of the mainstream refinement that allowed Motown groups to vault the racial barriers that stood in the way of so many black performers before them. 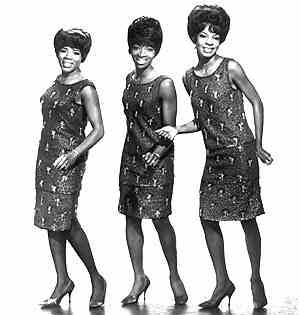 "He taught us to move in spite of our capabilities," said Martha Reeves, lead singer of Martha and the Vandellas, who worked with Atkins for more than a decade. "Before he started, he would analyze the songs and he would have a mapped-out set of steps for each vocal movement. Our performances had twice the value because of his input," Reeves said. Born Sept. 13, 1913, in rural Alabama, Atkins moved with his mother and brother, Spencer, to Buffalo, N.Y., when he was five or six. Inspired by the choreography of a grade-school teacher who staged variety shows, he parlayed his skills into work as a street performer, a dancing and singing waiter and, in the years before World War II, a dancer touring with Count Basie and Louis Armstrong. After the war, he teamed with Coles. 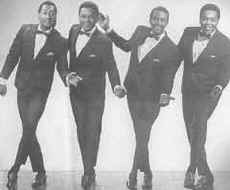 But by the mid-1950s, public interest in tap dance was fading, and Atkins was hired to add onstage pizzazz to a vocal group called the Cadillacs. 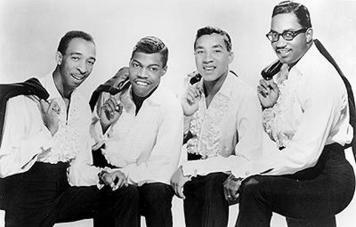 "It was like nothing you had ever seen," said Duke Fakir, a member of the Four Tops, which soon after worked with Atkins. Atkins was known throughout the industry as a gentleman. Indeed, his biography, co-authored by New York dance historian Jacqui Malone, is titled "Class Act: The Jazz Life of Choreographer Cholly Atkins". For all of his reputation as a straight arrow, though, Atkins' name was a total fabrication. Cholly was a name he heisted from Cholly Knickerbocker, a society columnist for the New York Journal-American. And Atkins was a shortened form of his last name, Atkinson, which was regarded as too long for theater marquees. "Besides, 'Coles and Atkins' sounded better than 'Coles and Atkinson,' " said Maye Atkinson, 84, his widow. 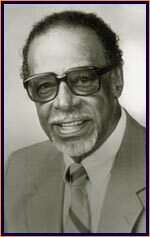 One of Atkins' earliest Detroit connections was with the Miracles. 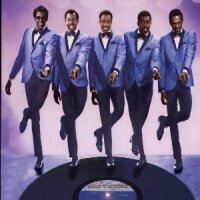 "We had been to the Apollo about a year before we met Cholly and we didn't have any choreography at all," said Bobby Rogers, one of the group's original members. "We were just popping our fingers and moving our feet a little. The owner of the Apollo said, 'I don't want you guys back here ever again.' " The Apollo Theater in New York was then the top venue for black singers. When the Miracles had an enormous hit with "Shop Around," they took some of their royalty money and hired Atkins. "He worked us eight hours a day at his house on Buena Vista," recalls Rogers. "He gave us a class that no one else in the country had." Atkins and his wife moved to Las Vegas in the mid-1970s, several years after Motown Records relocated to Los Angeles. There, he continued to work with groups he had helped make famous. The recognition that many people felt he deserved eluded him. "Motown never mentioned his name," said his wife. 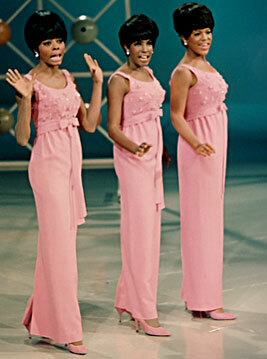 She recounted a Motown 25th anniversary celebration in which her husband was supposed to introduce the Temptations. Four hours before the performance, he was told his part had been cut. "He never complained about it, but it broke his heart," she said. In the mid-1990s, though, that recognition finally came - but not from Motown. Like so many of the tap masters before him, Atkins was rediscovered by major U.S. dance festivals. 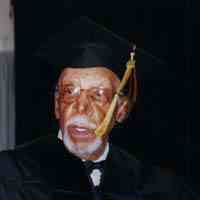 He was given grants and honorary degrees; he continued to teach, perform and share the inspirational tales of his career. "He gave us more than steps," Fakir said. "Cholly gave us wisdom. He taught us how to touch an audience and about living life. He was Motown's father figure." Choreography may have made Atkins a star, but he rarely danced outside the studio. Atkins and his wife met June 22, 1962, on a blind date in New York. Neither was really interested in a relationship. She had a career at Macy's. And Atkins was still recovering from the death of his second wife, Dottie Saulters, two years earlier. An earlier marriage had ended in divorce. The couple went dancing. "We danced every dance that night," Maye Atkinson said Monday from the couple's Las Vegas home. "But after that we never did dance again. Come June, we would have been married 40 years. But he wouldn't dance. 'That's my business,' he always said. 'I don't dance unless I get paid.' I guess I should have paid him." 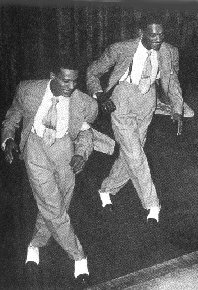 In 1929, when Cholly Atkins was working as a singing waiter near Buffalo, N.Y., he met William Porter and they formed the act known as "The Rhythm Pals." Atkins teamed with singer and dancer Dottie Saulters in the early 1940's, then in 1946, he teamed with Charles "Honi" Coles and formed the famous act, "Coles and Atkins." Cholly Atkins appeared with many bands including the Earl Hines Band, the Louis Armstrong Band, the Cab Calloway Review, Count Basie, Lionel Hampton, Charlie Barnell, and Billie Eckstine. He was staff choreographer at Motown Records from 1965-1971. In 1988, Mr. Atkins won a Tony Award for Black and Blue. Cholly Atkins, who choreographed the smooth moves of countless Motown artists and won a Tony Award when he was 75, has died. He was 89. Atkins died of pancreatic cancer Saturday night at a hospital, according to his family. CHOLLY ATKINS was born Charles Atkinson on Sept. 13, 1913, in Pratt City, Ala. He found his career in 1923, after winning a Charleston dance contest in Buffalo, N.Y., and became a singing waiter and dancing bootblack. He made a name for himself as a tap dancer in the 1930s, touring small black venues before forming The Rhythm Pals with William Porter. In the 1940s, Atkins did a stint in the Army and then toured with such jazz greats as Count Basie, Louis Armstrong and Lionel Hampton. He teamed with legendary tap dancer Charles "Honi" Coles to perform in the Broadway musical "Gentlemen Prefer Blondes," with Nat "King" Cole. He divorced his first wife, Catherine, and married dance partner Dottie Saulters. The pair toured with the likes of Cab Calloway and the Mills Brothers before she died of a brain tumor in 1962. 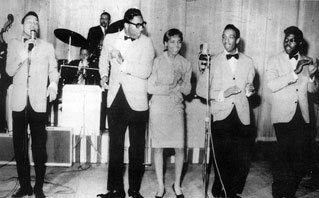 Atkins married Maye Harrison Anderson in 1963 and gained his greatest fame two years later when he became choreographer for Motown Records. He worked with countless Motown artists over the years, including the Cadillacs, the Supremes, the Temptations, Gladys Knight and the Pips, Smokey Robinson and the Miracles, Aretha Franklin and Marvin Gaye. "He loved his work," said his wife, Maye Atkinson, 84. "That was his life." The couple moved to Las Vegas in 1975, where Atkins continued to work with various stars. He dusted off his tap shoes in 1988 to choreograph the Broadway musical "Black and Blue." His work earned him a Tony Award. In 1993, the National Endowment for the Arts awarded him its highest honor, a three-year fellowship to record his memoirs and tour colleges to teach choreography and dance. Atkins continued to teach dance until doctors diagnosed his cancer in February.